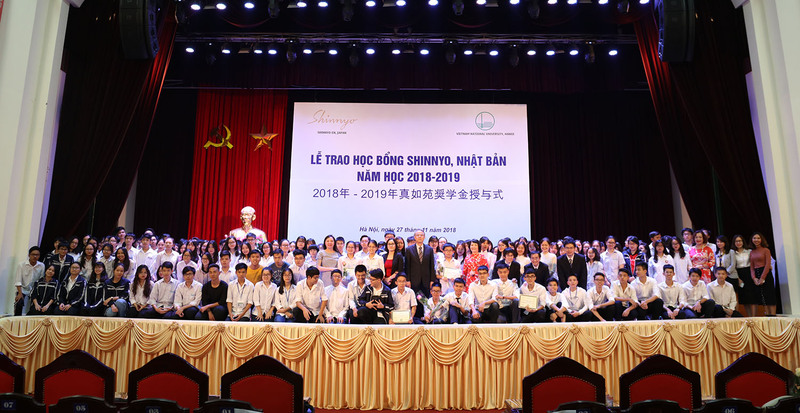 At the ceremony, leaders of VNU and representatives of Shinnyoen Organization awarded 211 scholarships to 133 high school students and 78 undergraduate students. 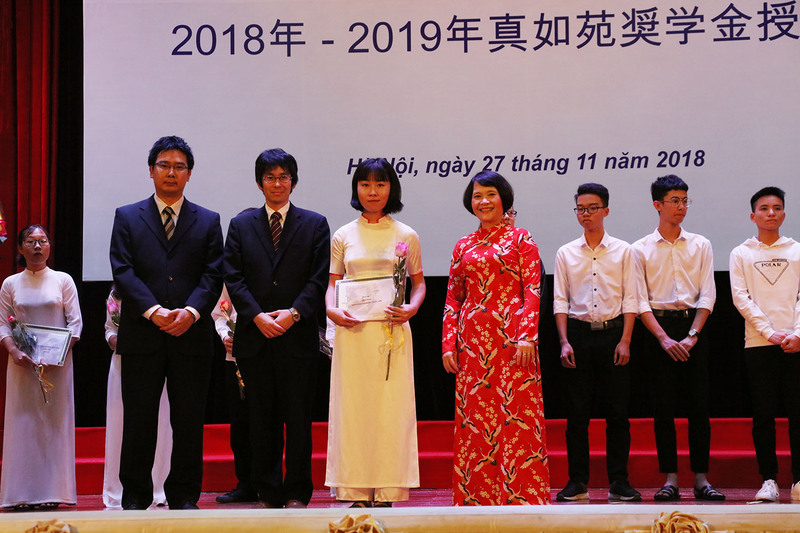 The value of one scholarship for undergraduate students is US $300 and that for high school students is US $200, the total value of the scholarships is US $50,000, equivalent to more than 1.15 billion dongs. 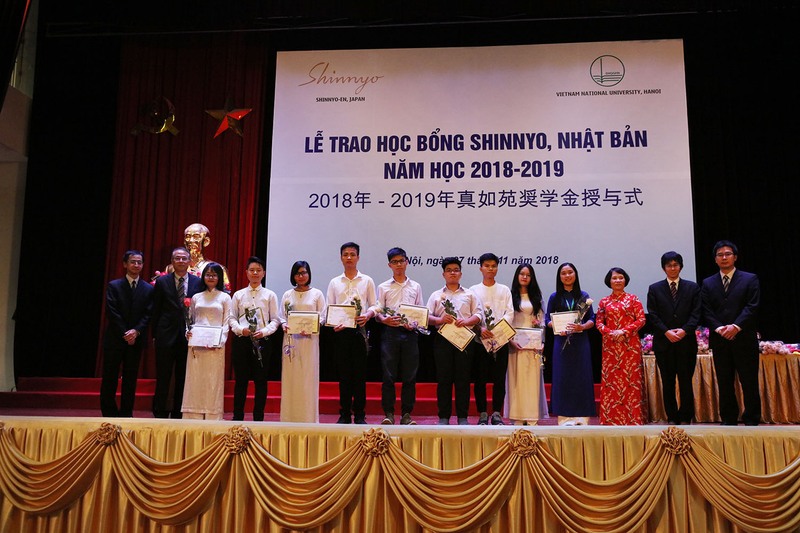 On November 27th, 2018, VNU and Shinnyoen Organization, Japan jointly held the Shinnyo Scholarship Award Ceremony of the 2018 – 2019 academic year for high school students and undergraduate students who had excellent academic achievements under difficult situations. 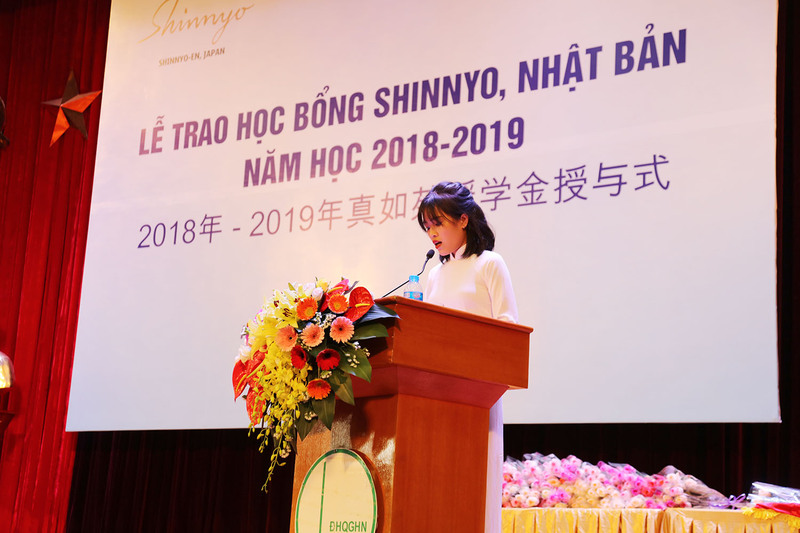 So far, Shinnyoen has awarded 3,049 scholarships to students of VNU. Congratulations to the students who were selected for the scholarship. 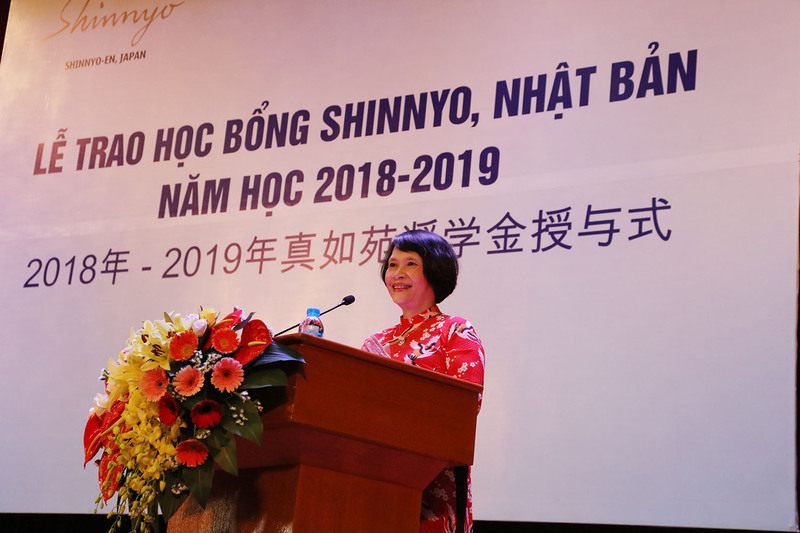 The Deputy Director of VNU’s Political & Students Affairs Department Nguyen Thi Hong Hanh expects the students to maintain their merit to continue to receive Shinnyo scholarships as well as keeping on studying harder, strive to achieve higher academic achievements. 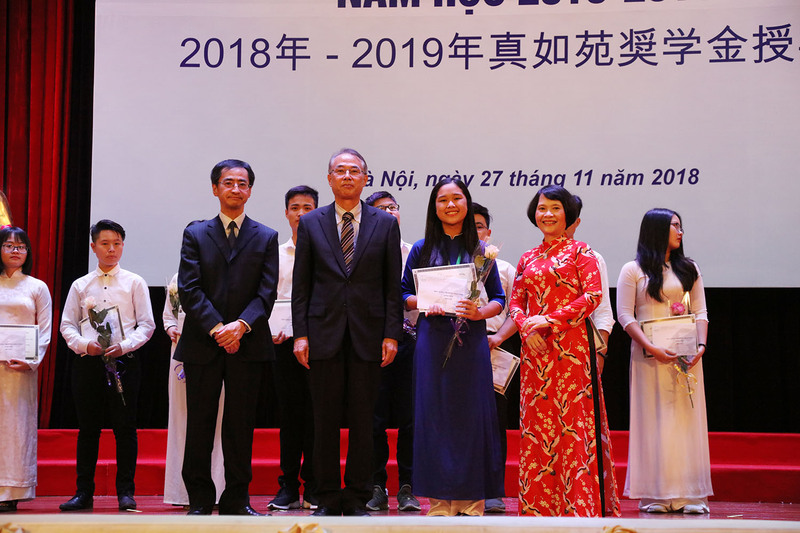 Tran Thi Tuyen, a student of the Faculty of Japanese Language and Culture, said: “To make my dream come true, I knew I would have to try a lot. This year, i will keep on studying hard in order to receive scholarships to participate in student exchange programs with Japanese universities or to participate in internship programs in Japan for one year”.